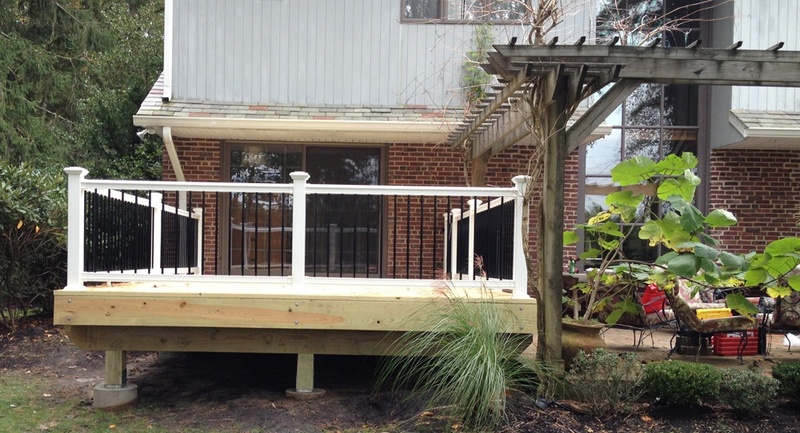 When you renovate or remodel your home, it is important to consider the outside of your home as well as the inside. Adding a deck is a great way to add functional outdoor living space to your home that your whole family can enjoy. 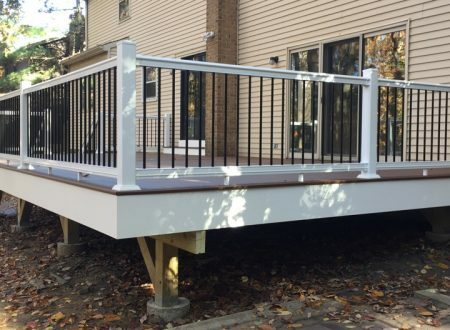 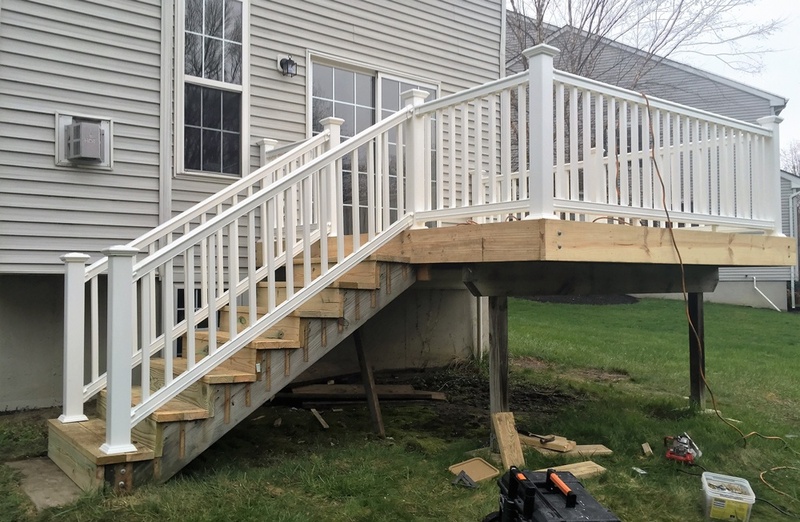 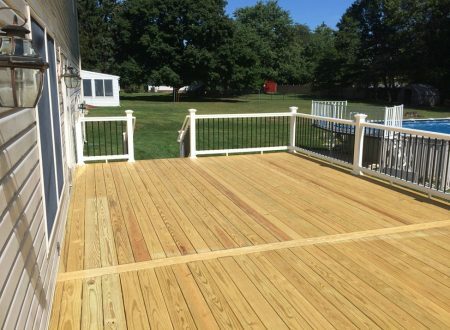 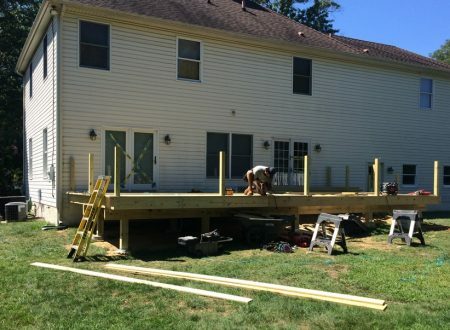 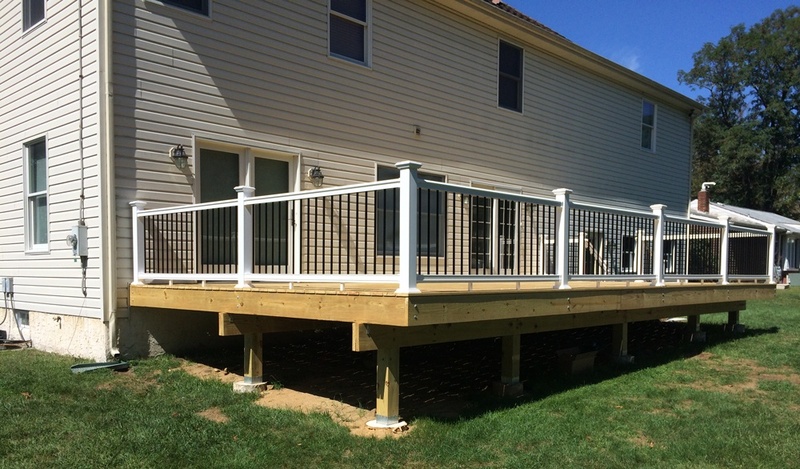 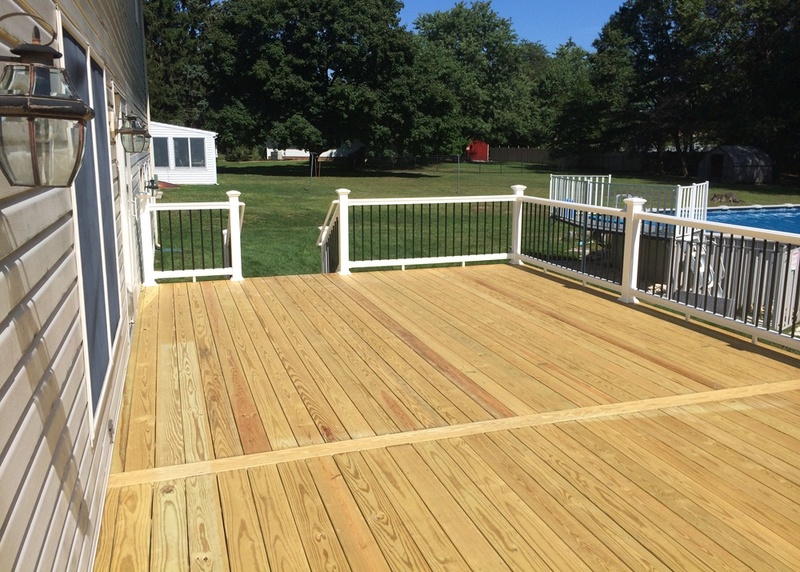 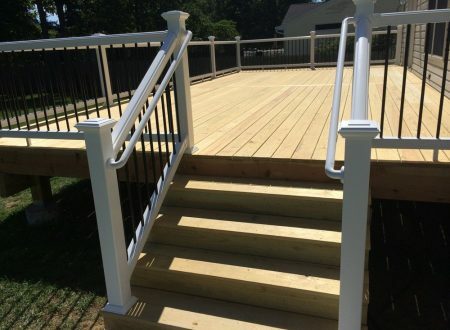 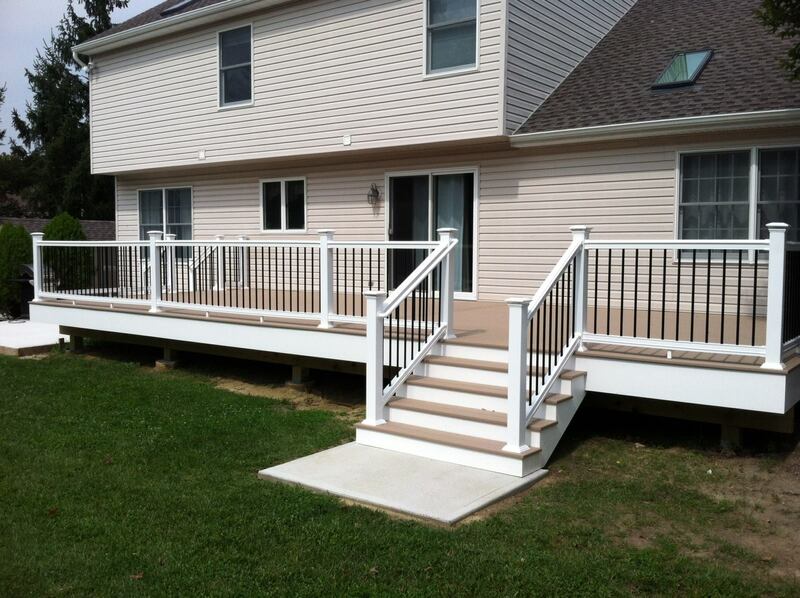 American Custom Construction, LLC can help you design the perfect deck for your outdoor living space. 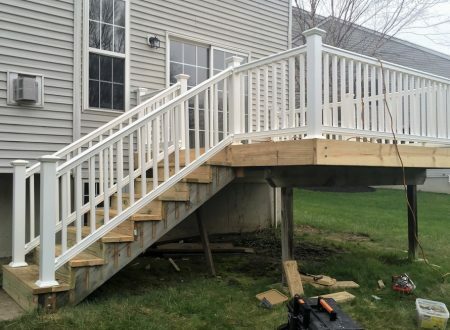 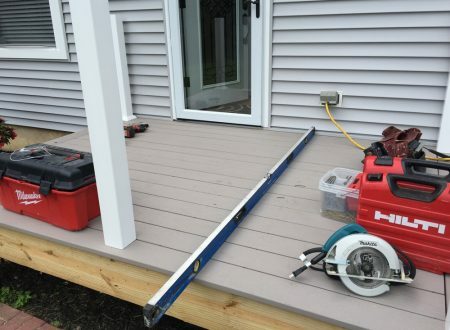 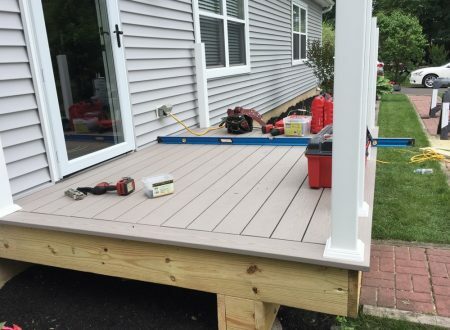 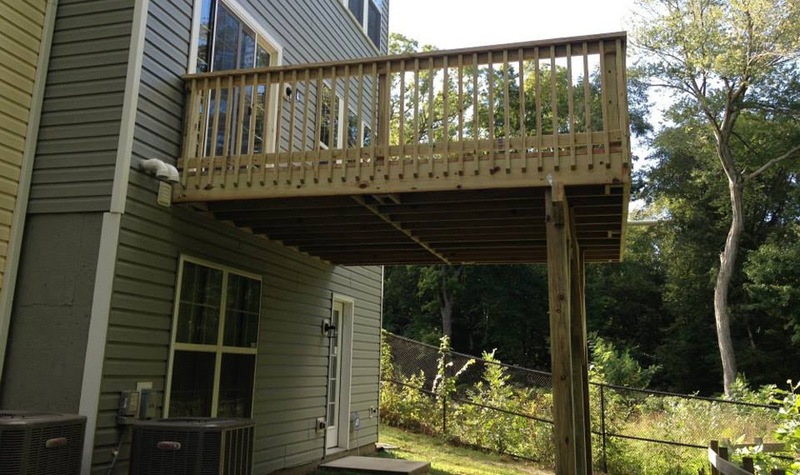 When it comes to adding a deck to your home, you have many possibilities. 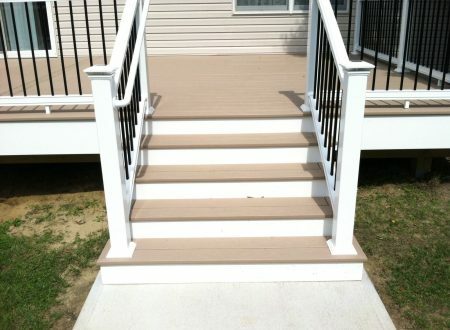 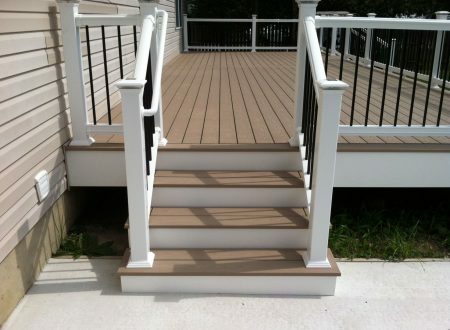 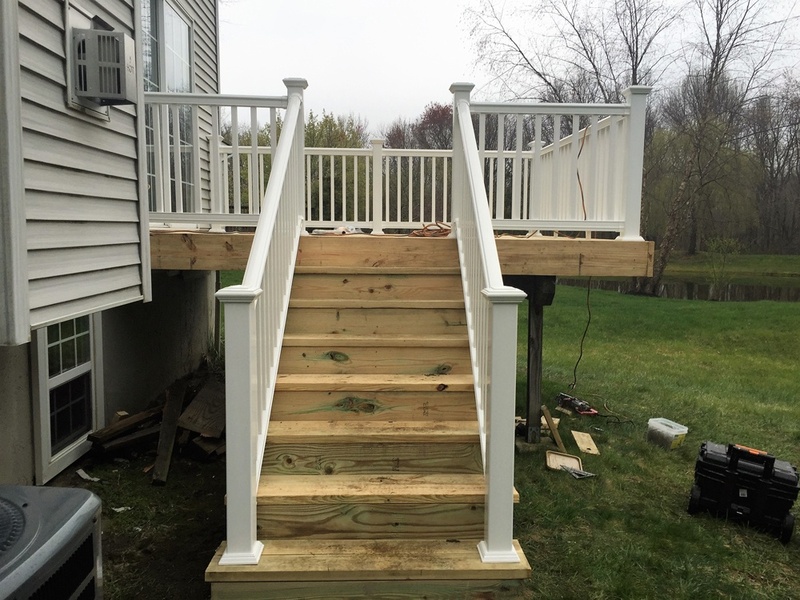 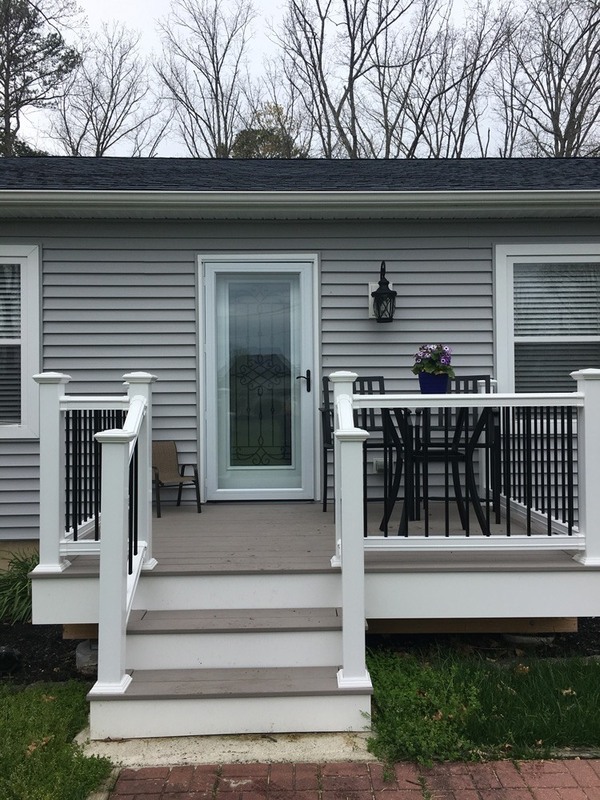 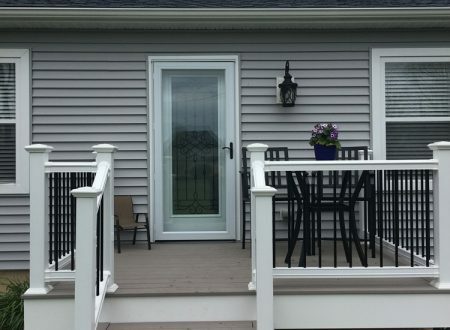 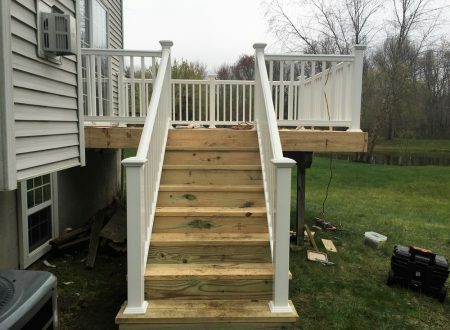 A traditional deck is added off of the back of your home and is accessible from your backdoor. 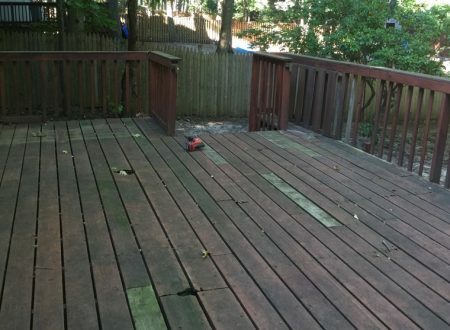 The size and shape of your deck is up to you. 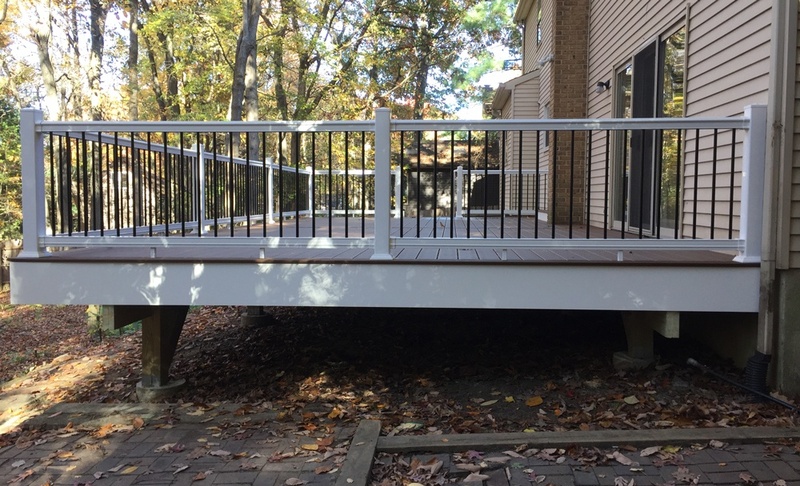 A small deck may be all you need for an intimate outdoor living space ideal for outdoor cooking and some outdoor seating. 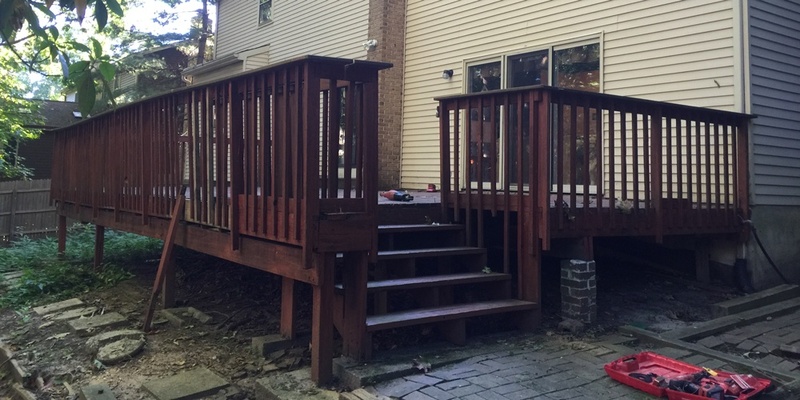 If you are a fan of outdoor entertaining, you may want to build a larger deck. 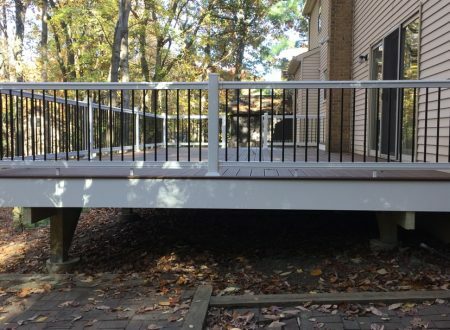 Your deck can include a custom gazebo or custom bench seating for optimal entertaining. 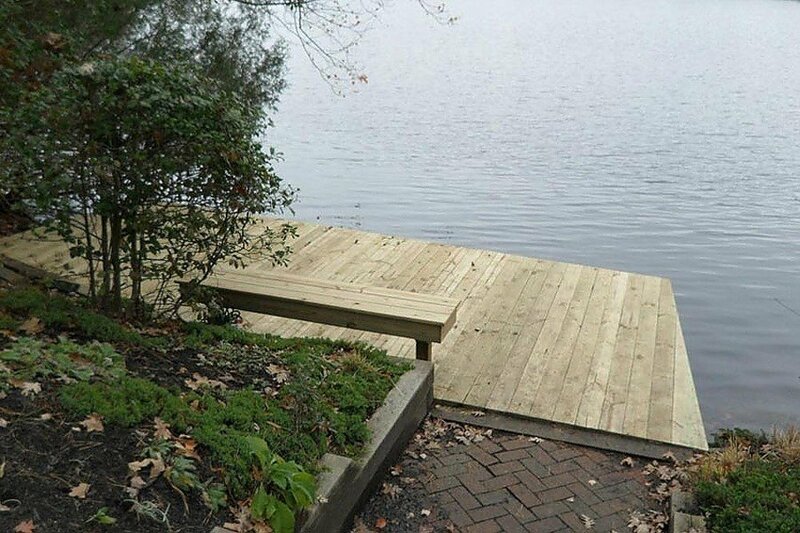 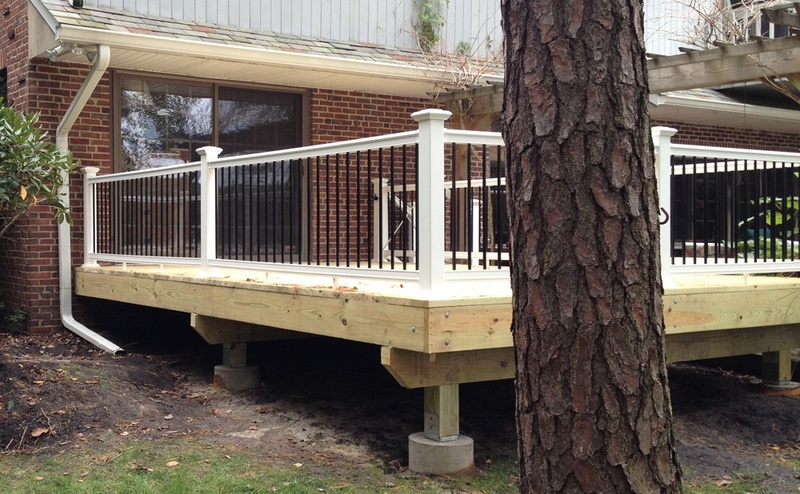 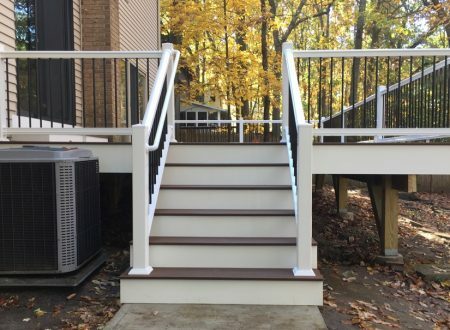 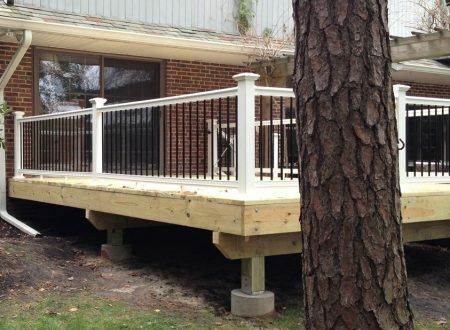 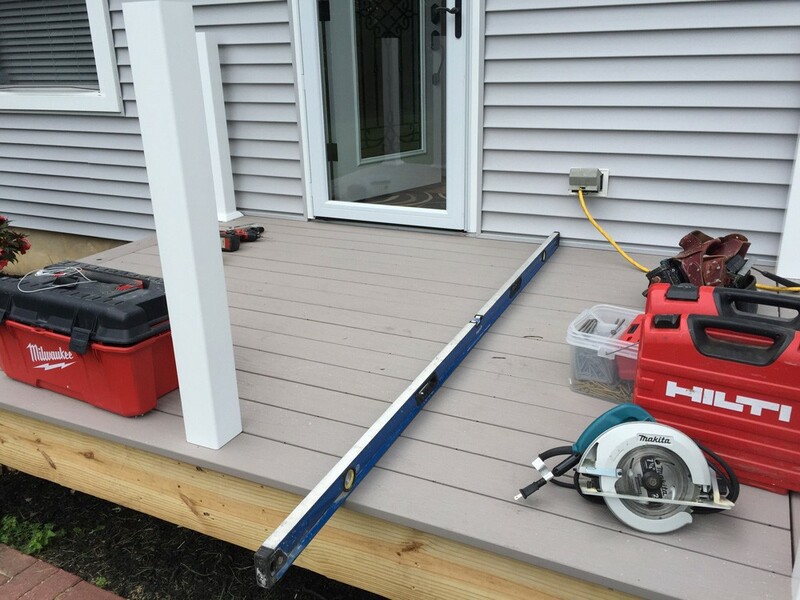 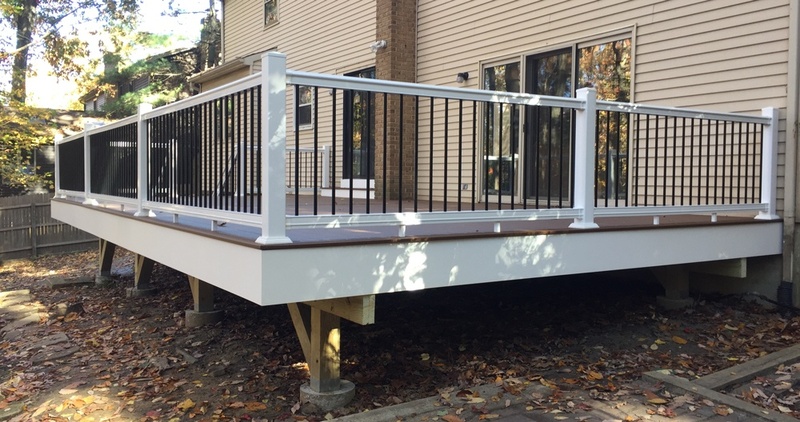 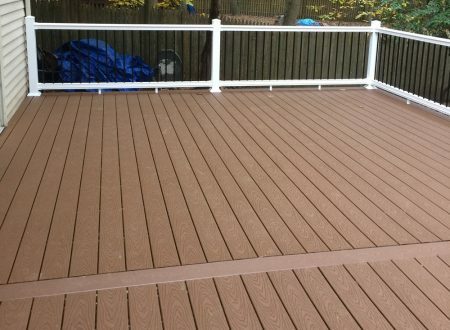 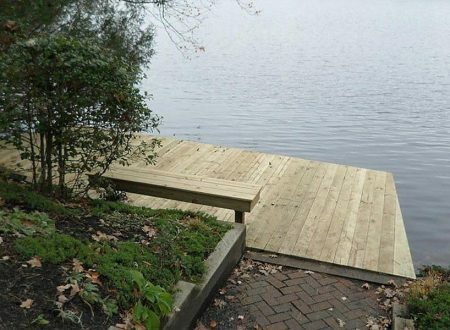 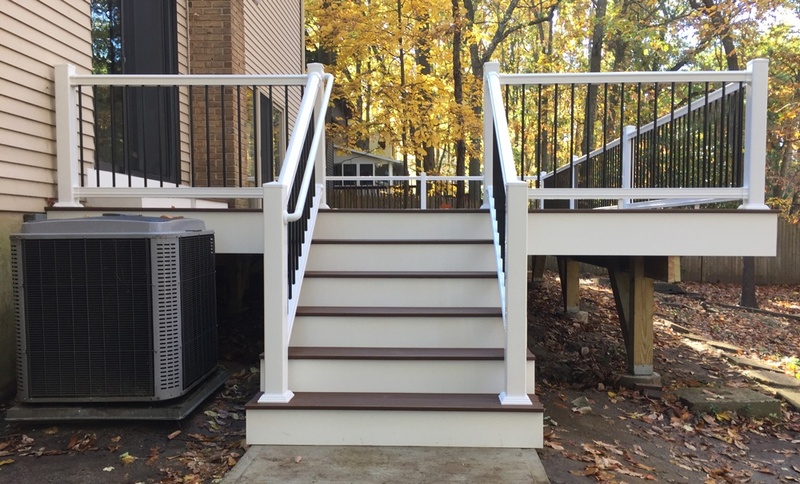 Other custom options can be discussed with your contractor to make your deck ideally suited to your needs. 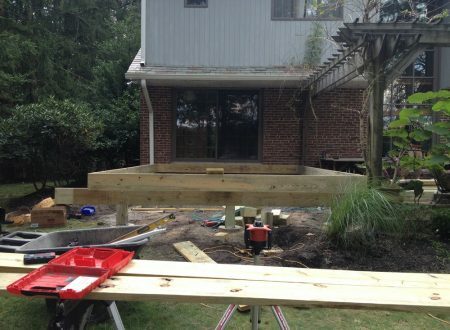 Adding a deck around your swimming pool is another great way to add functionality and safety to your pool. 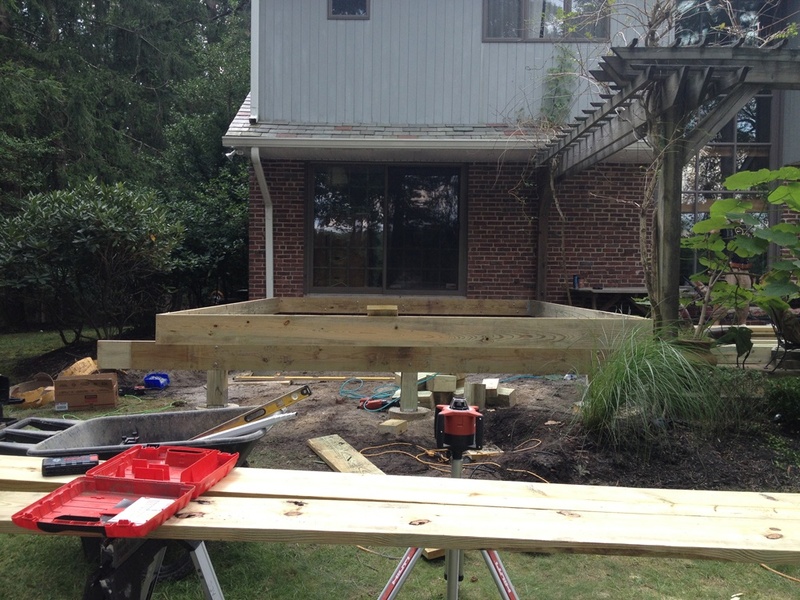 By building a deck around your pool you can create an area for seating to lounge and relax beside the pool. 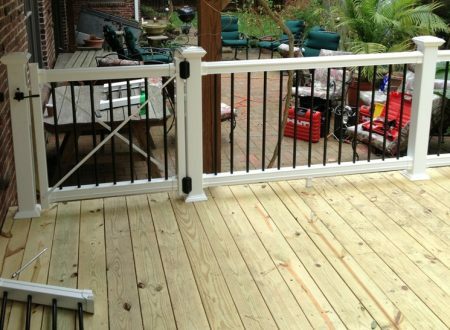 You are also creating a built in fence around the edge of the pool to keeping your pool safe and to keep unwanted visitors out of your pool. You can even build a deck around your pool that connects to your home for one giant deck that makes a pool and extension of your house. 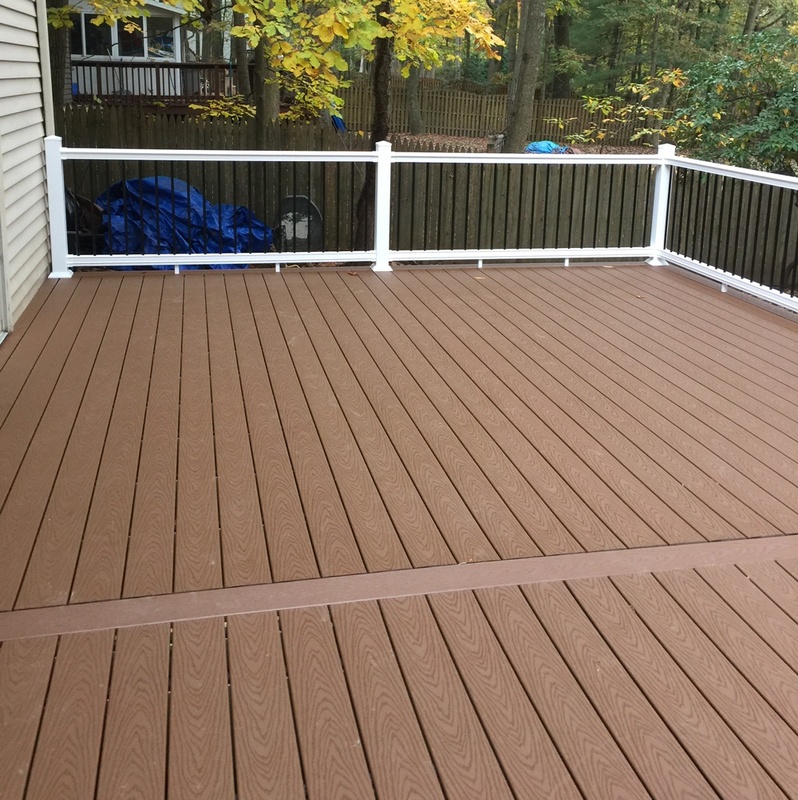 If you would like to have a deck in your yard, but think it would be better suited away from your home and in a more scenic area, that’s no problem at all. 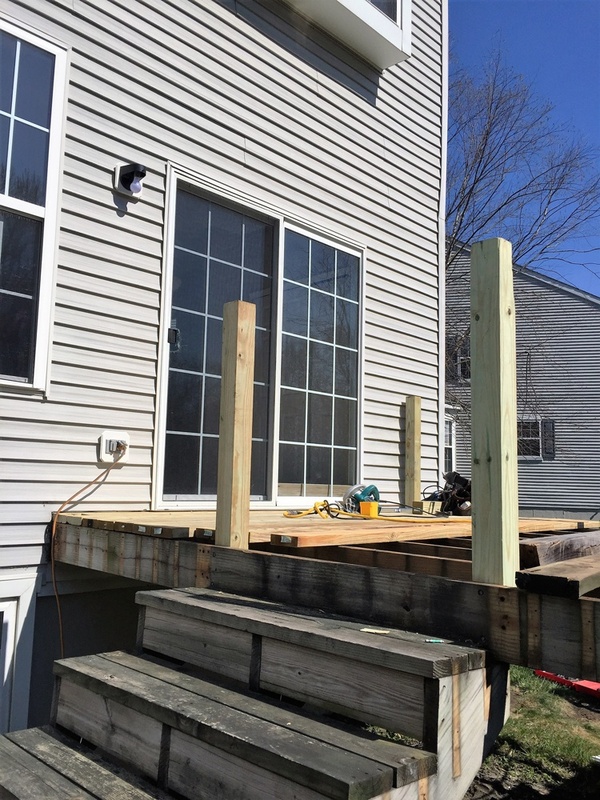 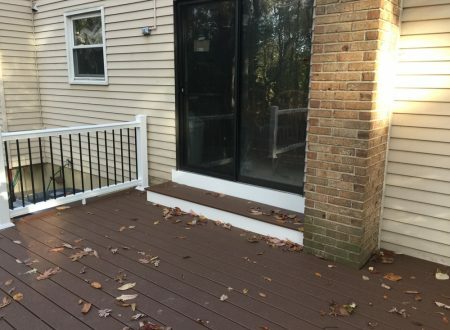 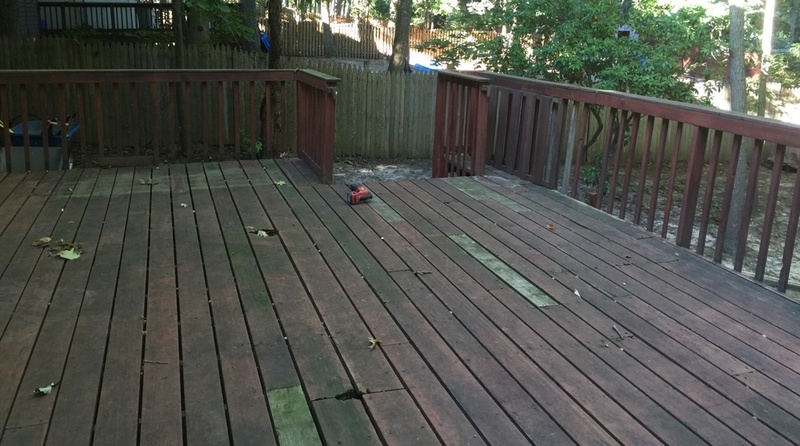 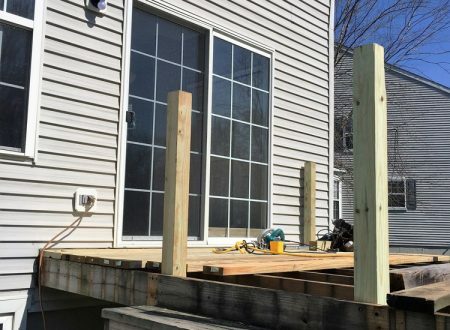 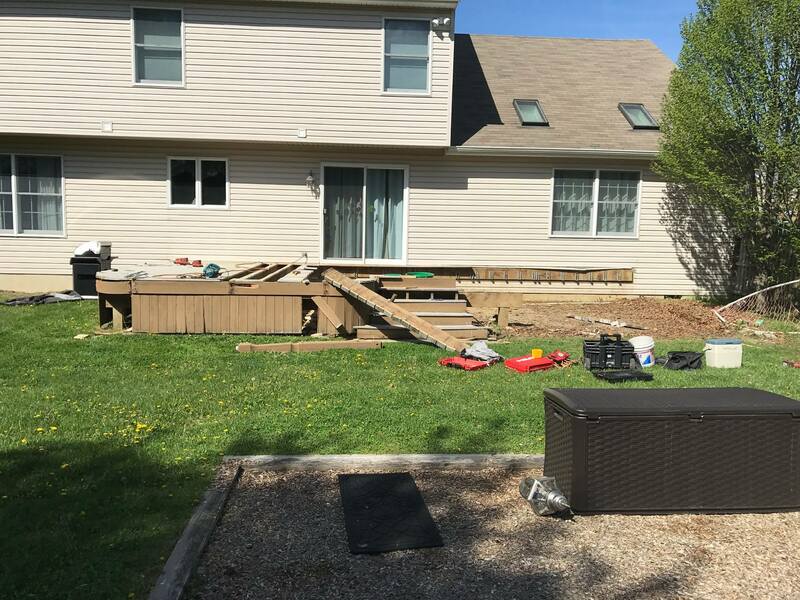 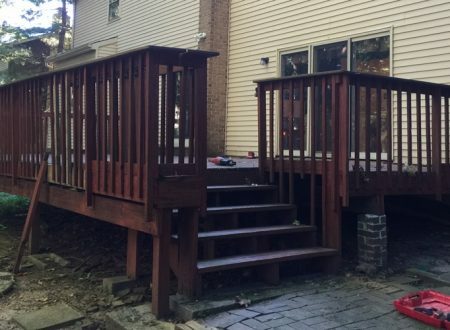 A deck can be built away from the home as well. 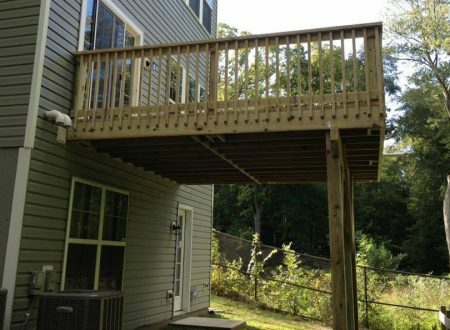 With this option you can take advantage of a different view on your property and enjoy nature in the round from your deck. 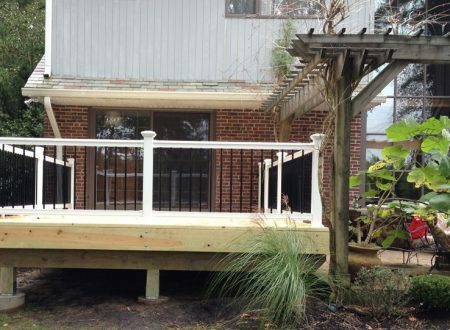 You could also add a gazebo or a covered area on your deck for a more intimate and private setting. 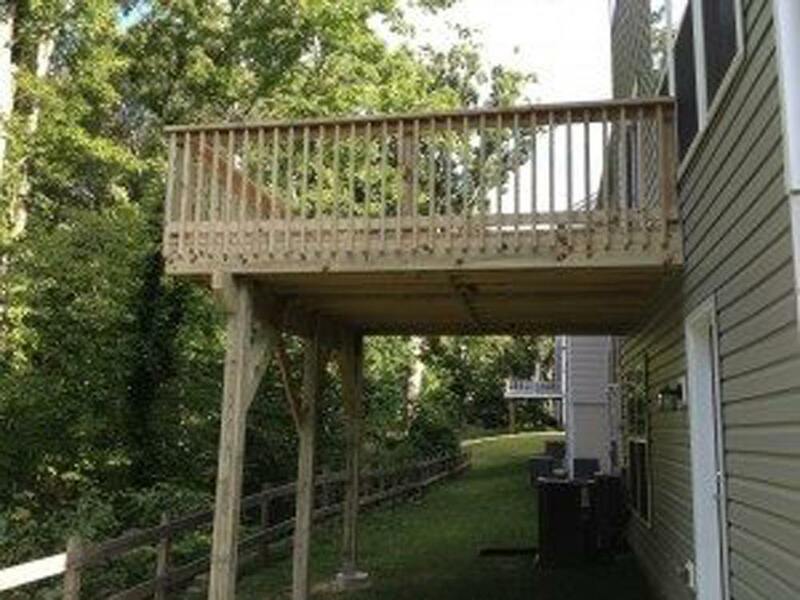 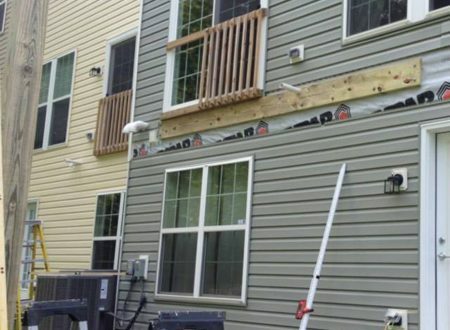 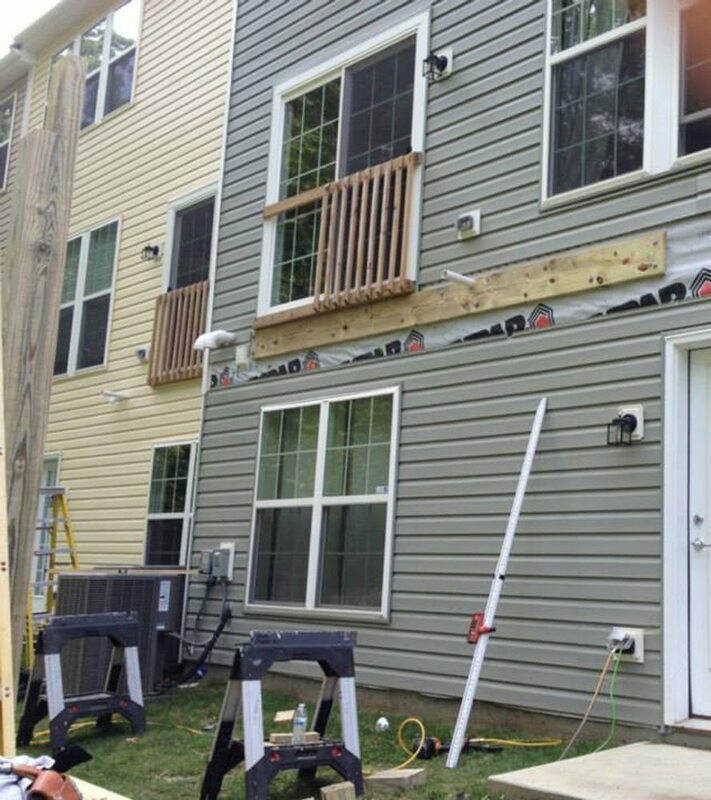 Decks are not limited to being attached to the back of your house. 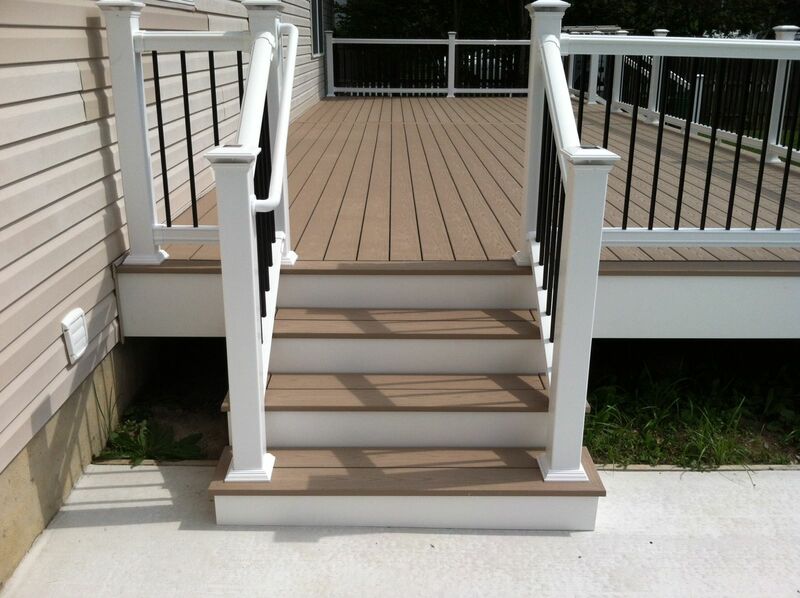 Talk to your custom construction company to learn more about your decking possibilities. 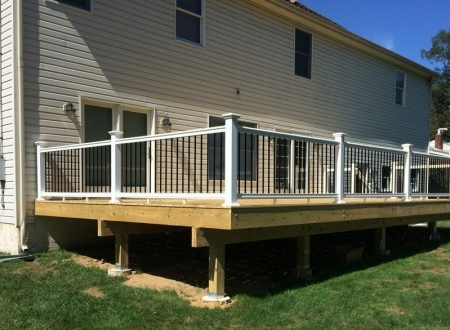 When you add a deck to your home you add valuable outdoor living space for your entire family to enjoy. 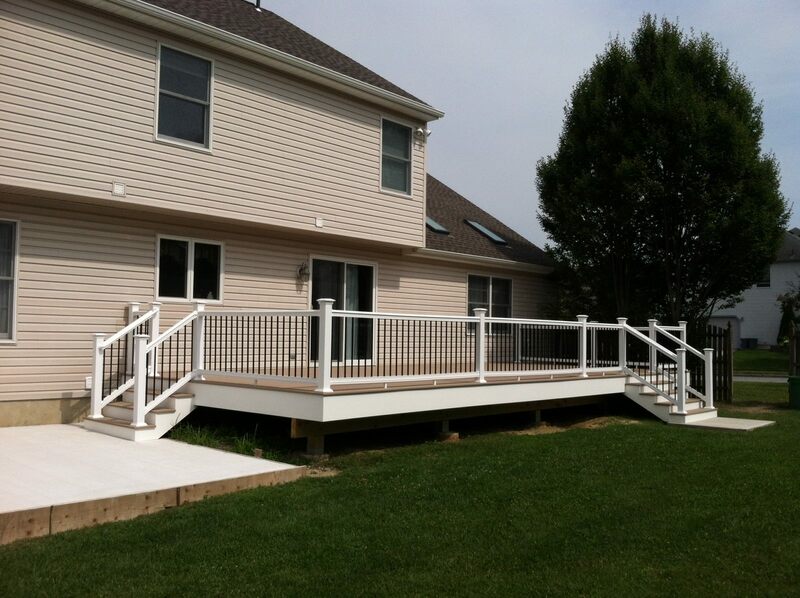 Contact American Custom Construction today to learn more about designing and building your perfect deck. 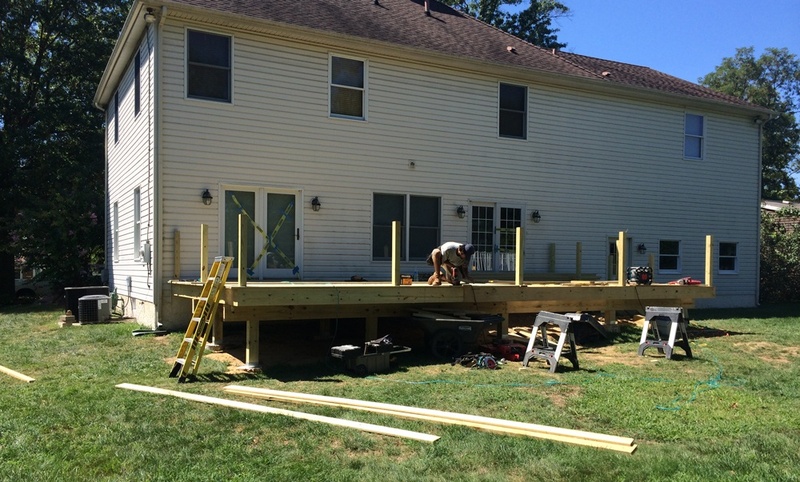 Take advantage of your outdoor living space this summer with the help of ACC! 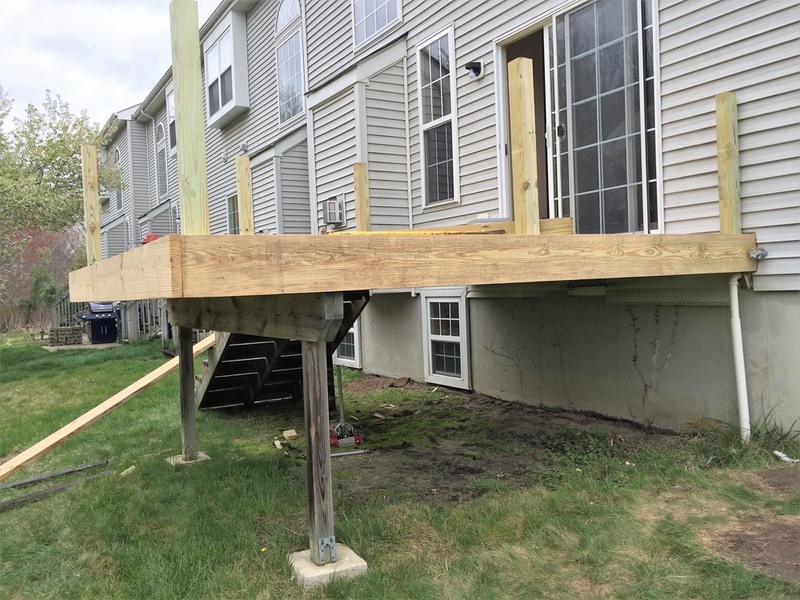 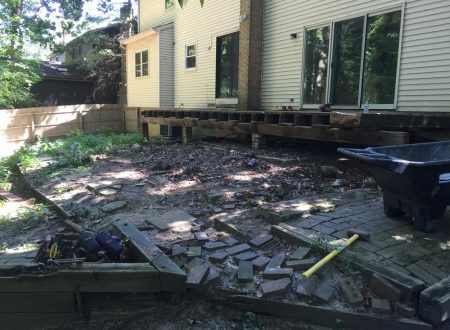 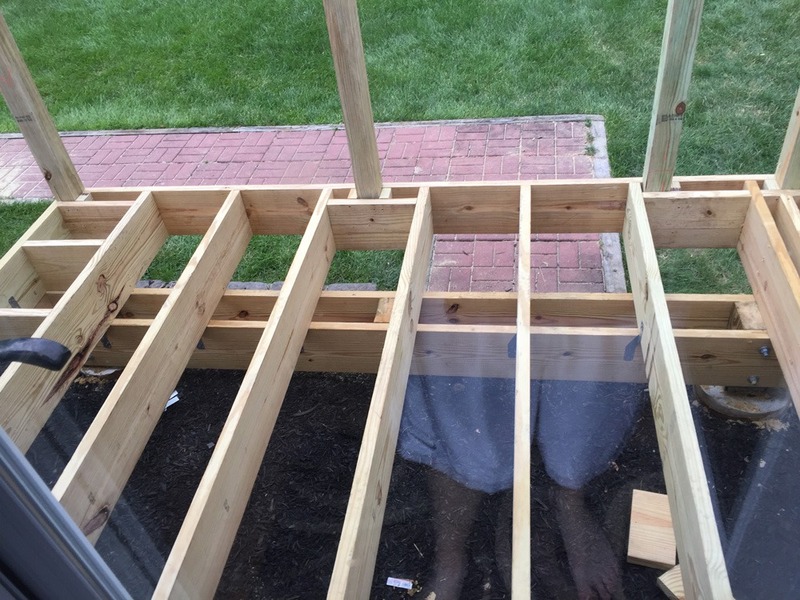 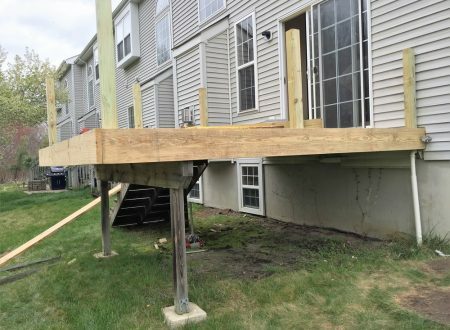 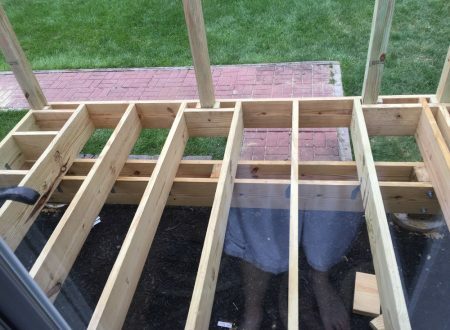 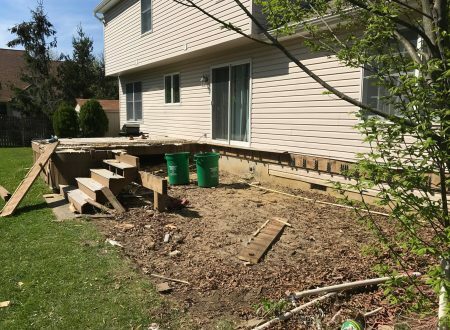 Removed old deck, poured new footings. 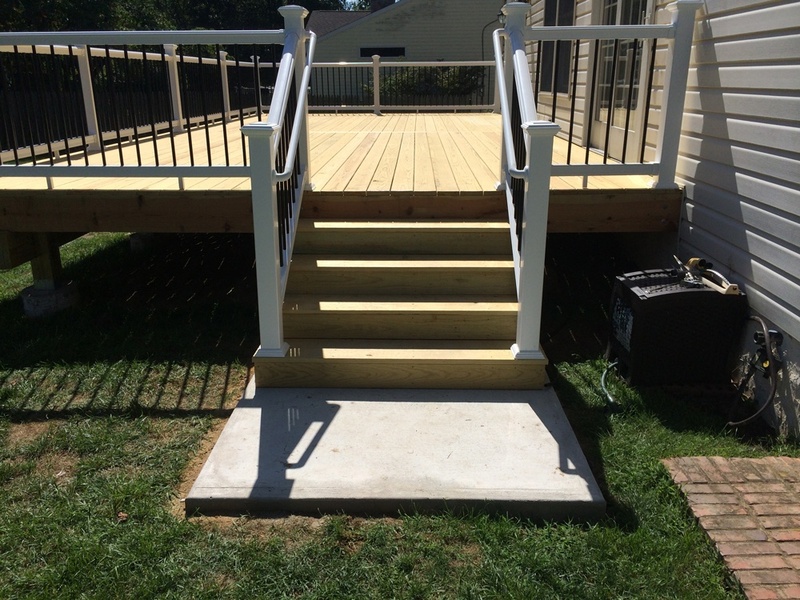 Installed Azek deck boards and picture framed the deck boards and stairs. 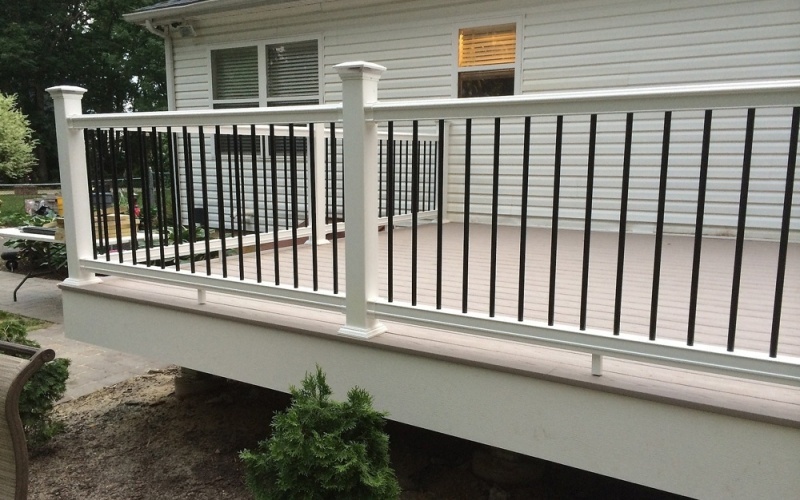 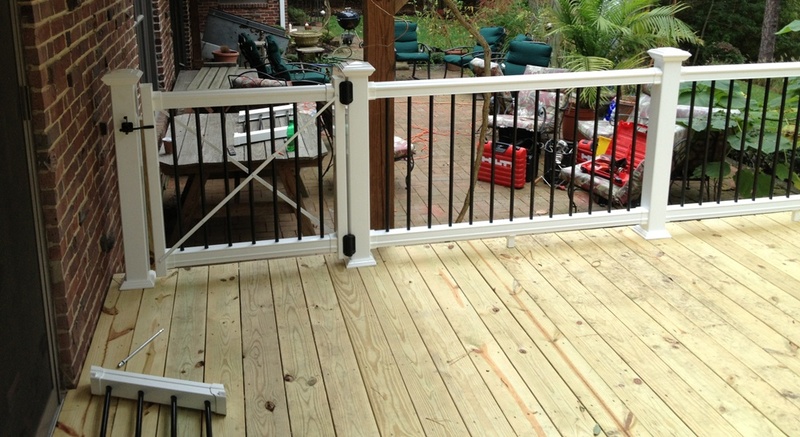 Installed white railing with black spindles. 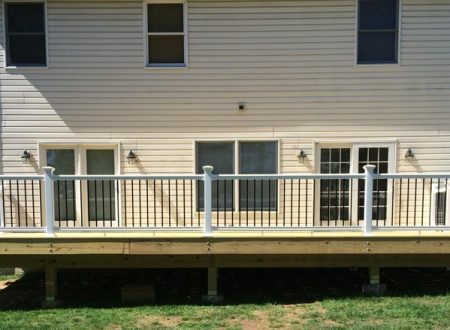 The caps on the posts are solar lights.